UFO SIGHTINGS DAILY: 90 Meter Alien Ship Found Partly Buried On Mars Surface, Aug 2015, UFO Sighting News. 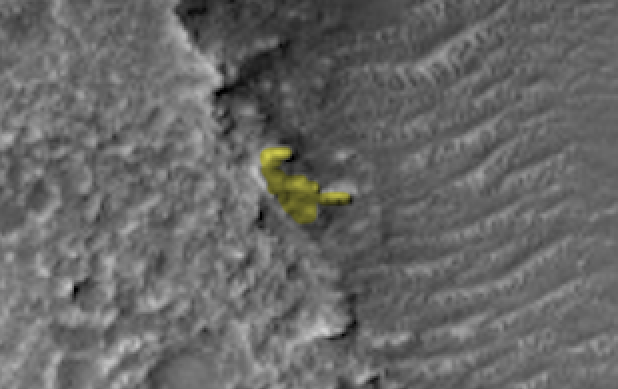 90 Meter Alien Ship Found Partly Buried On Mars Surface, Aug 2015, UFO Sighting News. I took the photo of the structure and spliced it (above), showing what it would look like if dug out of the dirt that partly buried it. Total length is about 8-90 meters from head to rear, 110 meters from wing tip to wing tip. This tubular structure is on the surface of Mars and has long tube-like towers sticking out of the side of the canyon. The longest of the tubes seems to have two evenly spaced openings which are black. Accord to the size measurement on the upper right corner of the NASA photo, the longest structure is about 90 meters by 110 meters. 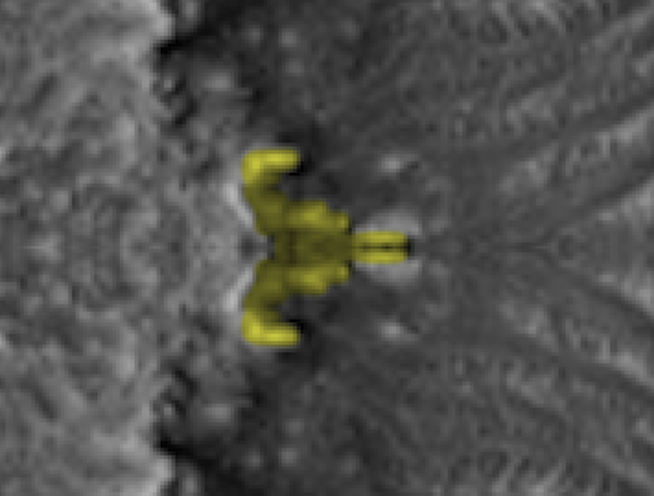 These structures seem to be very old and they are partially buried under the Mars surface. Looks like this is an old abandoned ship that is still in usable condition.